Ride The Rockies is proud to work hand in hand with the following organizations in an effort to increase awareness, funds, and volunteers for their services both locally and internationally. Below is a quick snap shot of our 2017 Featured Collaborative Partners and their respective missions. 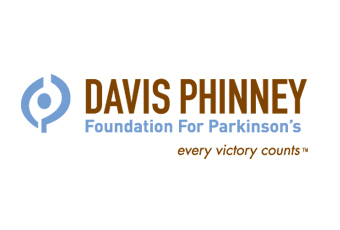 The Davis Phinney Foundation helps people with Parkinson’s live well today, changing what it means to live with Parkinson’s by moving people to action. The Foundation funds innovative research, creates tools and resources and connects people to information that enables them to improve their quality of life. Team Samaritan House was created by Catholic Charities’ board member Tom Schwein and his cycling partner Tom Dea to help raise awareness of the need to fight homelessness. Each year, the team has grown in riders and passion. Over the past six years, Team Samaritan House has raised more than $375,000 for Catholic Charities’ homeless shelters. As the charitable arm of the Archdiocese of Denver, Catholic Charities extends the healing ministry to the poor and those in need. Catholic Charities of the Archdiocese of Denver has been serving Northern Colorado since 1927. Catholic Charities serves thousands of people each year in three interlocking areas: Women’s Services, Family and Child Care Services, and Housing and Shelter Services. They are also a first-responder in disaster relief services, such as the 2013 floods in northern Colorado. Catholic Charities is open to, and serves, all people. Hundreds of volunteers donate their time and talent to Catholic Charities. They collaborate with Catholic parishes, local businesses. They preserve and protect the dignity and well-being of the poor and vulnerable by helping seniors live independently and protecting them from isolation, by providing assistance to victims of crime, legal assistance and advocacy to immigrants, mental health services, early childhood education, and intensive case management to foster self-sufficiency. Catholic Charities also provides safety and permanency for children by preventing neglect and abuse and by supporting families that open their home to children in need of safety. The Adaptive Sports Center enhances the quality of life of people with disabilities through year-round outdoor adventure activities. 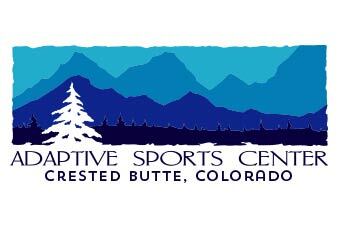 Programs include an array of winter and summer sports based in Crested Butte and special events throughout Colorado and the Rocky Mountain region. 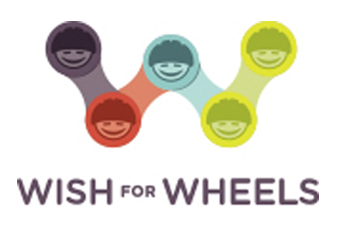 Wish for Wheels gives the gift of a brand new bicycle and helmet to low income children (grades k-2). For most, this is their very first time even riding a bike. Their mission, to transform the lives of kids from low-income families, broadening their scope for personal growth and a healthy lifestyle through the gift of a new bicycle, is accomplished thanks to the generous partnerships they form with local businesses and corporations to host customized team building experiences. Partners build the bicycles and have the honor of leading the give directly. Project Recycle is a Douglas County, Colorado-based 501(c)3 Non-Profit. Project ReCycle was founded in 2010 to provide smiles to children all over Colorado via a bicycle. That has not changed today. Our first run at this venture led us to create a program that would not only guarantee smiles but would also influence children’s academic behavior in a positive manner. As part of our Dream Bike Program, Children, during their academic year, are encouraged to earn a bike by improving in 3 areas; Respect, Attendance and Academic Growth. Project ReCycle works with multiple agencies to provide stability for children. The gifted bicycle becomes a constant in a life of change. Project ReCycle collects bicycles from participating locations on a weekly basis. Bikes are brought back to the repair shop and inspected. If a bike cannot be fixed for reuse, it is dismantled. Each reusable part is salvage for future use. All remaining bike parts are then recycled. The Word Bank says that if you want to transform a region and lift it out of chronic poverty, invest in girls education. World Bicycle Relief fuels economic and cultural empowerment in Africa by providing bicycles to people. With a bicycle, distance is no longer a barrier for girls to get an education, for aid workers to reach sick people in need, for entrepreneurs to bring more goods to market and lift their families out of poverty. Providing bicycles to these three categories of recipients (students, aid workers, and entrepreneurs), WBR is being strategic in how they transform the region. Bicycles have the power to radically change lives, to provide hope in areas with little opportunity, and in the process, transform families, villages, and even regions. The bicycles are manufactured locally providing jobs to local mechanics. And with their ability to keep costs so low, it only takes $147 to change someone’s life. 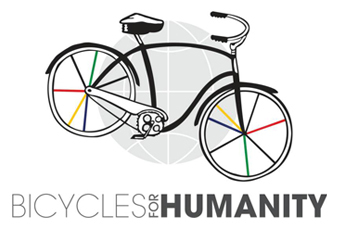 Bicycles for Humanity Colorado is a non-profit organization based in Colorado that uses donated bicycles to address a fundamental barrier to development and healthcare in rural Africa. Poor transport systems mean poor access to healthcare, education and economic opportunities — and bicycles delivered through community-based bike shops provide sustainable mobility solutions for rural Africans. To date, we have delivered over 6,000 bikes to small communities in Namibia, Zambia, Kenya and Tanzania, creating jobs and schools along the way.